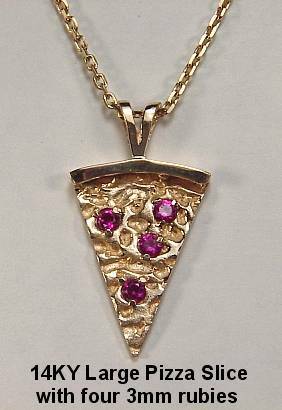 What a unique way to show off your love of the all time favorite American Food...Pizza! 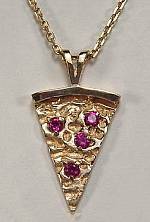 The entire Pizza line is available in Sterling Silver or 14kt gold. 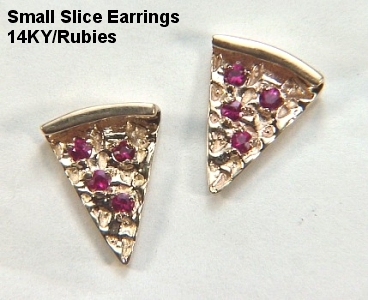 Size : 1" x 1/4"
Size : 3/8" x 9/16"
Four 2mm stones in each earring. Size : 11/16" x 1"
This beautiful 7" ladies bracelet is shown with 40 Rubies and is available with an additional 20 diamonds in the rectangular connecting links. 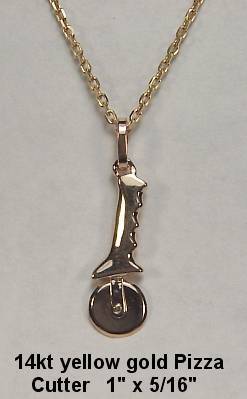 Sterling silver, silver with vermeil, gold or platinum. Why not two tone your cone? 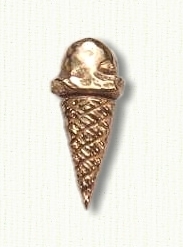 Available with white gold ice cream and yellow gold cone. All 18kt and platinum pricing as per quote. 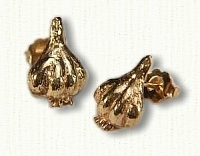 Garlic lovers everywhere will enjoy these - two sizes flavored to taste. 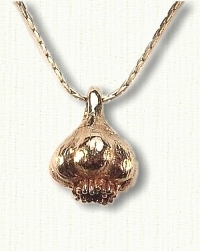 1" x 3/4" 3-D Garlic Head Pendant (left) or Flat Backed Earring with omega clips. 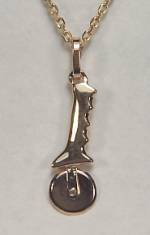 5/8" x 3/8" Post Earrings (right), Charms or even Tuxedo Studs. We Do NOT have a printed catalog. 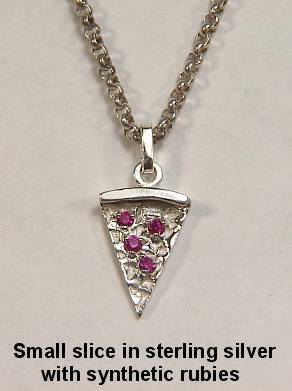 The web site is our catalog. We gladly accept wire transfers, bank drafts, money orders, VISA, MasterCard and Discover (sorry NO personal checks, business checks or AMEX). If you prefer you may call our toll free number : 1-888-727-8266 with your credit card information to ensure privacy and security. Please note: Although we make every attempt to keep our site current, prices are subject to change without notice. 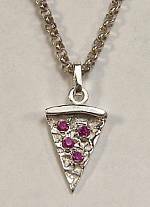 All rush fees, custom items and shipping are non-returnable. Stock items are returnable within 30 days but a restocking fee does apply. 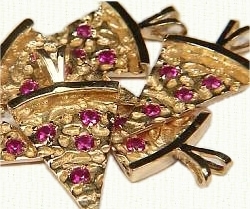 All rings smaller than size 5 and larger than size 12 are considered custom orders and are non-returnable. Please see our FAQ's page for more details. Shipping daily using UPS which is insured and requires an adult signature.